Swiss Pure Moisture™ was designed as a three-step daily skin care regiment for healthy, radiant skin. Moisture by definition is water. If you want to moisturize you need to get water into your skin. So why are 90% of the products out there oil and wax? The opposite of what someone with normal to oily skin wants. Pure Moisture is 100% oil, alcohol and wax free. 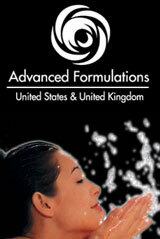 It is the only completely oil free range of skin care ever developed. Perfect for Oily Complexions, our advanced oxygen-infused formulation naturally cleanses and removes impurities and bacteria. Pure Moisture™ employs TRF which complements the skin’s ability to utilize natural oxygen, an essential element for healthy skin. Our Cleanser, Toner and Moisturizer leaves skin feeling soft, clean and refreshed.